The project has a starting point in exploring knitted structures and their combinations. 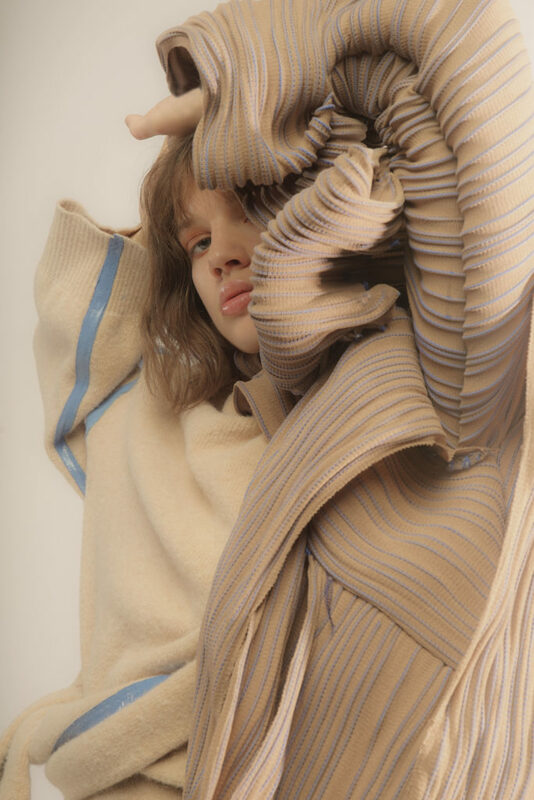 The material comes first, letting it decide the form and connections of the garment. A combination of material and form, with the attempt to develop the silhouettes through the method of assemblage. Putting the process itself in focus, questioning my usual approach of working to get an open field to explore new ways in combining material and form by focusing more consciously on the interaction of material, form and body.